Our Data Centre features biometric security, proximity access control throughout, diverse utility power feeds, built-in n+1 redundancy: UPS secured power, climate control and generator backup including continuous operation and online fuel replenishment. Operating dual communications entry points, we have North and South fibre ducting into dedicated communication points at opposite ends of the building. Dedicated mechanical and engineering corridors ensure that critical facility equipment is housed away from the data floor. VESDA (Very Early Smoke Detection Apparatus) and FM200 fire suppression is standard throughout all suites and Centro operates 24x7 human security in addition to all the technology. Ideally located just minutes from the M1 and M25, our data center is highly accessible by road and rail - with Central London just 30 minutes on the train, Luton airport minutes away and 4-lane motorway networks on the doorstep. Diversely connecting with our secondary PoP at London Hosting Centre (LHC) in Docklands. We have geographically redundant private connections between the two sites, to ensure service is not interrupted by events such as maintenance or fibre damage. 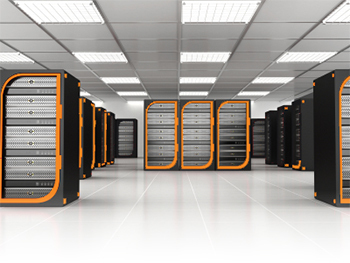 LHC houses our back-up and off-site services, in addition to customer servers. We operate under our partners AS number AS32482, and as the UKNOC RIPE Local Internet Registry, which means we administer our own direct allocation of internet address space and route our own network. Dual dedicated 11,000V (HV) connections via diverse feeders in private ducts and with private HV sub-station. N+1 diesel stand-by generators with continuous fuel arrangement. N+1 high efficiency packaged chillers with 2N inverter driven high efficiency chilled water pump sets. Dual fibre entry through dedicated private ducts. Resilient (diverse) dark fibre connectivity to London. Dedicated Mechanical & Engineering corridors away from IT equipment. Biometric iris scan man-trap to gain access to data floor area. On-site human security presence 24x7. Proximity access locks on all external and internal doors. Interlocked man-traps on front entrance and goods in area. Perimeter fence with rota spikes, anti ram-raid barriers, blast-proof windows and steel security doors. External and internal digital IP CCTV system with digitally controlled motion sensors and flood lighting. VESDA (Very Early Smoke Detection Apparatus) and FM200 fire suppression systems. Dual diverse power feeds to all racks.